Now You Can Totally Do Diamond Peels At Home! This beauty tool will give you flawless skin instantly. If there were one skincare step that is often underestimated, it would have to be exfoliation. Hear us out here. Many women think that it’s enough to cleanse the skin with makeup remover and facial wash before layering toner and moisturizer. What they fail to realize is that skipping exfoliation actually negates your skincare routine, because you end up “feeding” dead skin cells instead of getting rid of them. You’re left with dull skin, age spots, and more pronounced lines and wrinkles. So yes, exfoliation is absolutely necessary. While you have various options for exfoliating, we found a beauty tool that will do the job quickly for you. 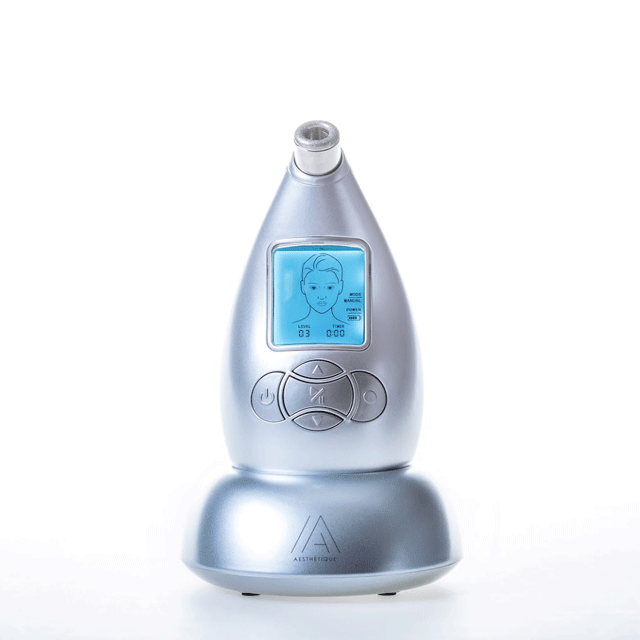 It’s called the Aesthetique Solutions Revitalize Mircodermabrasion Device, and it will change your skincare routine for good. With regular use, you’re looking at skin that’s visibly smoother, brighter, and glowing. You can also combat fine lines, dark spots, and breakouts, as long as you follow it up with the proper skincare routine. And because it gets rid of dead skin, you’re sure that your skin absorbs products’ ingredients even better. The Aesthetique Solutions Revitalize Mircodermabrasion Device costs P10,000, and is available at Zalora, Calyxta, and Beauty MNL. It’s quite pricey, but with proper care, it should last you a lifetime. You can also use it all over your body, unlike regular diamond peels in clinics. So if you’re in it for the long haul, we totally recommend this.